Ideal for living areas, but certainly not limited to them, 36e8 Air combines 36e8 units with an AIR shelving station. 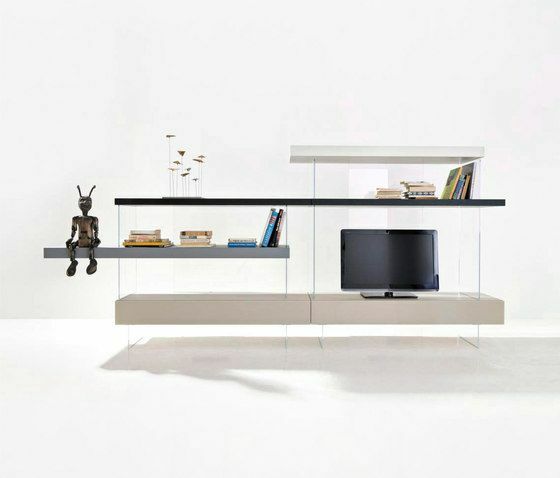 With only one unit, they provide you with a mobile shelving system, TV station and room divider, all in one. 36e8 AIR is an ideal solution for dividine any living spaces as they don’t need to be fixed to the wall. Highly versatile, they come in a choice of widths, heights and shelf layouts. You also have the entire range of LAGO colors to choose from.